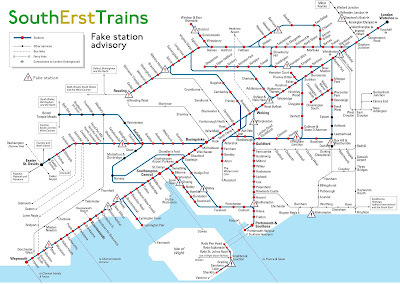 South Erst Trains reports delays after hackers built a fake station at Pewford Ponds. Travel is unlikely as the trains are made of cheese. If you are unsure whether you are travelling from a fake railway station, experts advise checking whether there are tracks coming out of it and if these tracks are made of conventional metal or cheese straws. British Transport Police say it's very difficult to stop hackers building fake railway stations as you have to spot the delivery of large quantities of building materials some of which are foodstuffs. 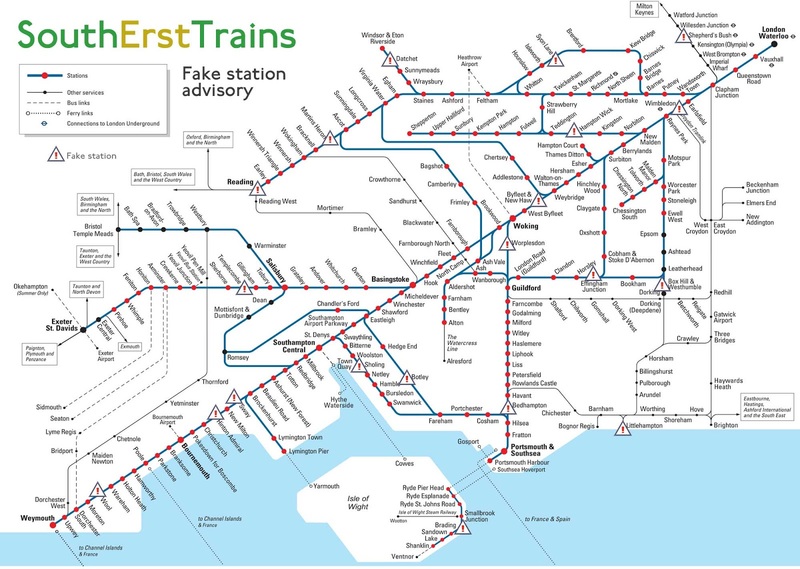 South Erst Trains has rushed out a map showing all currently known fake stations. Passengers should avoid these as they are made of cheese and do not allow travel to any other destinations, despite appearing to be very convincing railway stations.